We can all agree, the situation now is terrible and oppressive, and the people of Latin America have been marginalized something awful these past years. Watching them flee in their tremendous numbers towards the refuge America promises has since moved President Trump to stern actions to staunch the flow, stem the tide, and gird the loins of his nation's southern border, in steel and concrete where possible, in hopes the power of dissuasion will convince those desperately considering leaving the ills of their troubled lands to instead stay home and make their own societies greater. But, the situation hasn't always been so dire. 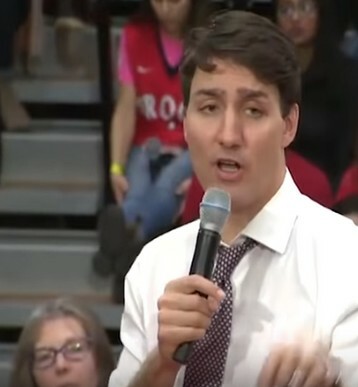 Manuel "Mel" Zelaya, (right) the telegenic, charismatic president of Honduras was, like Justin Trudeau, regarded a true blue, centrist democrat. Though a member of the landed gentry he'd made agrarian and wage reforms, and his modest efforts had begun to bear some fruit; remarkable considering the entrenched depth and long legacy of Honduras' political corruption. 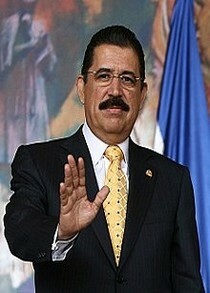 In the last year of his mandate, Zelaya hoped to strengthen the democratic trajectory he'd set in motion for the country. On the pre-dawn summer morning of June 28th, 2009, Honduran commandos, following orders issued by the country's Supreme Court, dragged Mel Zelaya out of bed, bundling the president into a jeep and spiriting him away to a waiting plane bound for Costa Rica. His crime: introducing a Non-binding referendum, putting before the people the prospect of establishing a constituent assembly and reforming the constitution along more democratic lines. So, maybe it's not such a surprise witnessing Justin Trudeau's disdain for Nicolás Maduro performed as was so vividly done in St. Catharines after all, given his country's historical anathema for democracy as expressed abroad. In Latin America, basically each and every country has suffered from them, from the Dominican Republic to Chile and Argentina; in Asia, from Indonesia to Thailand, and in the Middle East from Iran to Egypt and Syria. 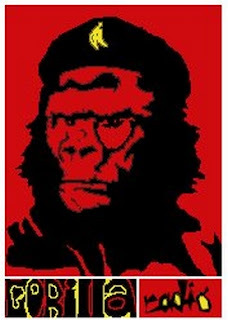 Whenever people of some country dared to vote in the socialists, Communists, anti-colonialists or simply some decent bunch of people who were determined to serve their own population, the West corrupted and deployed local elites and military, overthrew elected or revolutionary governments and installed brutal servile regimes. Thousands died, sometimes millions, but the Empire couldn’t care less; as long as it got its way. "Venezuela’s Supreme Court head Maikel Moreno announced on Monday that the judges had disavowed Juan Guaido as the chief of the opposition-controlled National Assembly." "Venezuela’s Supreme Court has declared all acts of the country’s National Assembly null and void, days after the opposition-held assembly declared President Nicolas Maduro’s election illegitimate." "You see this man, who nobody knows in Venezuela—you ask in the streets, “Who is Juan Guaidó?” and nobody knows him—but he’s being pushed to say that he is the new president, by the U.S."
"The Venezuelan authorities know that the US is trying to stage a Syrian scenario with “government in exile” in Caracas… After US Vice President Michael Pence called for overthrowing our government, our president decided to sever diplomatic relations with the US authorities and asked US diplomats to leave Caracas in the next 72 hours. This is an adequate response which our brave president provided to flagrant interference… No country can allow any other country to state their opinions about the internal affairs of the state, especially when it comes to calls for overthrowing [the authorities]. "We know what the next steps will be. The US will now have a justification [for their actions] that there are two governments in the country, like they did in our fraternal Syria with President Bashar Assad and its people. They created a government in exile, which led to great losses, to casualties, to demolition of the country’s infrastructure." "As we see how the situation in Venezuela develops, we note the willingness of a certain group of countries, including the United States, to use different platforms such as the Organization of American States, to increase pressure on our ally Venezuela under different pretexts… But we have always supported and will support friendly Venezuela that is our strategic partner."" "The Syrian Arab Republic condemns in strongest terms going to extremes by the US and its blatant interference in the affairs of the Bolivarian Republic of Venezuela which constitutes a flagrant violation of all international norms and laws and a brazen attack against the Venezuelan sovereignty," a source at the Foreign and Expatriates Ministry said on Thursday. 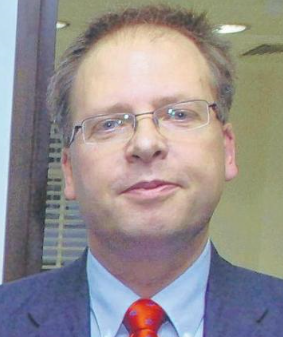 "The Syrian Arab Republic affirms its categorical rejection of the blatant US interferences, and it renews full solidarity with the Venezuelan leadership and people in preserving the sovereignty of the country and foiling the hostile schemes of the US administration…"
Andre Vltchek is a philosopher, novelist, filmmaker and investigative journalist. He has covered wars and conflicts in dozens of countries. Three of his latest books are Revolutionary Optimism, Western Nihilism, a revolutionary novel Aurora and a bestselling work of political non-fiction: Exposing Lies of the Empire. View his other books here. Watch Rwanda Gambit, his groundbreaking documentary about Rwanda and DRCongo and his film/dialogue with Noam Chomsky On Western Terrorism. 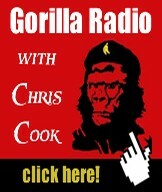 He can be reached through his website and his Twitter. Read other articles by Andre. This admission by the coroner, scheduling of a new coroner’s court hearing on April 15, and likelihood that this too will be adjourned, now threaten the British Government’s narrative a Russian-produced nerve agent, sprayed on a door handle last March, was an attempted assassination of Sergei Skripal, and four months later, a bottle containing the same poison killed Sturgess. 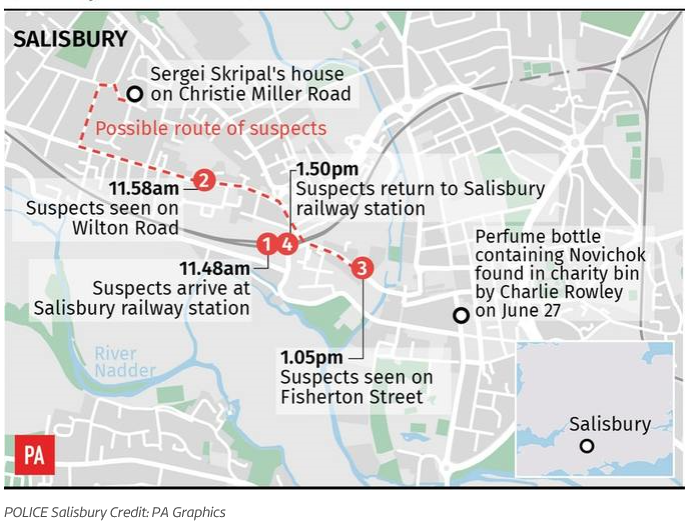 There has been no physical evidence of Sergei Skripal since the afternoon of March 4, 2018, when he and his daughter Yulia Skripal, fell ill on a park bench in the centre of Salisbury, and were hospitalised with what the local police and medical personnel first suspected to be food, alcohol or drug poisoning. The British authorities then announced that the Skripals were suffering from nerve agent poisoning. 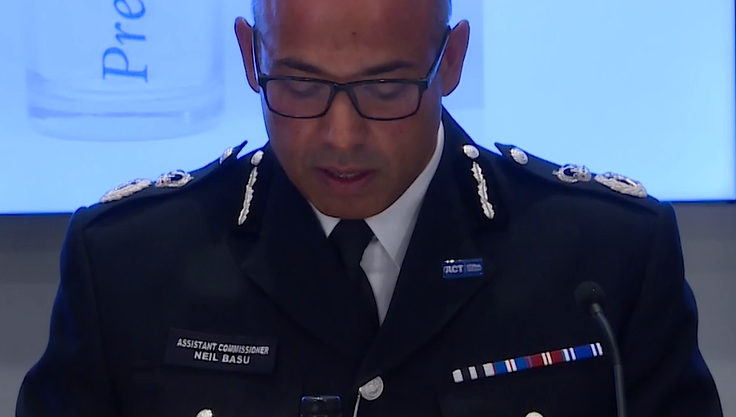 The British authorities have failed to explain how the allegation of a Russian nerve agent attack on the outside door handle could have resulted in the contamination of the interior of the Skripal house; read more of the evidence. On September 5 Prime Minister May told the House of Commons that indictments of attempted homicide and chemical warfare offences against GRU agents were being drafted. The second court hearing occurred in the Wiltshire and Swindon Coroner’s Court on July 19. Rowley, the only surviving witness of what happened to Sturgess, did not testify, nor treating doctors and pathologists from Salisbury Hospital. For an outline of what British coronial law requires in these cases, click to read. 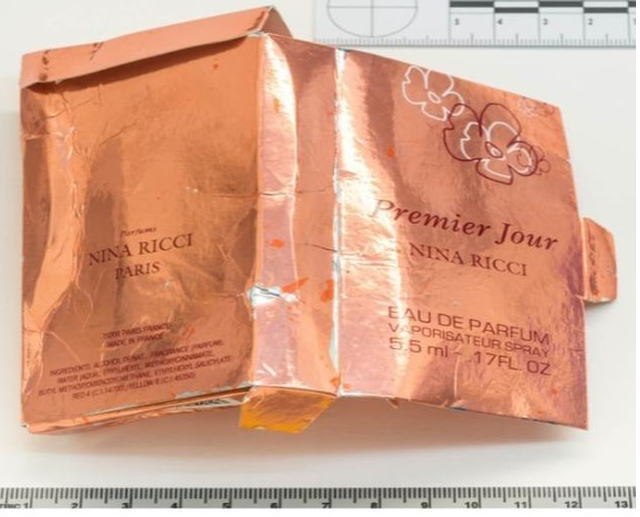 Independent sources point out that missing from the labelling on this box is the estimation symbol required for all perfumes sold in the European Union and Russia. This can be evidence that the packaging originated in the US, or that the packaging is counterfeit, and the forgers forgot to include the estimation symbol. For an independent analysis of the CCTV images of the Russians and their movements in real time on March 3, the day before the alleged attack, read this. For analysis of their movements on March 4, click to read Rob Slane’s report of October 3, and his report of October 7. Slane’s reporting casts doubt on the accuracy of the times of movement captured by CCTV images released by the police. That’s a good sign, however. On the last two anniversaries, the focus on Guantánamo had almost entirely disappeared. 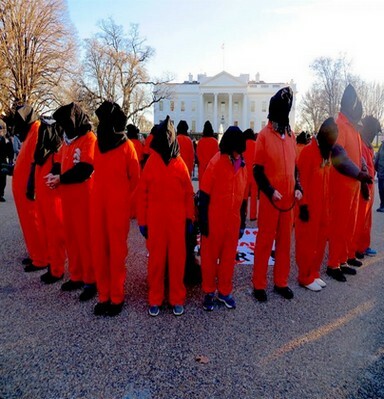 Two years ago, we were caught in the limbo between the outgoing administration of Barack Obama and the imminent arrival of Donald Trump, and last year, after Trump’s first year in office, the outrage and exhaustion was such that Guantánamo barely got a look-in. Please support my work as a reader-funded journalist! I’m currently trying to raise $2500 (£2000) to support my writing and campaigning on Guantánamo and related issues over the next three months of the Trump administration. If you can help, please click on the button. It doesn't matter who or what is to blame; or even if laying blame is appropriate. The fact is, the planet is changing, and that change is quickening. The predicted emerging climate is favourable to neither us, nor most of the rest of nature. In short, whether recognized or not, humanity is headed for an extinction whose eventuality is not a matter of "if", but "when". So then, how do we go on from here? In 2015, my best friend, Duane French, came down with pneumonia and was taken to the hospital. Pneumonia on its own is bad enough, but for someone who has been quadriplegic for more than forty years, it is also life threatening. I met Duane when I first moved to Alaska in 1996, then I became his personal assistant. Duane is now one of the oldest living quadriplegics on the planet and he has always been one of my heroes. He broke his neck in a diving accident when he was just fourteen and spent his adolescence in a rehabilitation hospital with mangled Vietnam veterans returning from the war. Duane decided not to allow something like a broken neck and confinement to an electric wheelchair stop him from working to help pass the Americans with Disabilities Act. Since then, he has run more than one state government division that assists people with disabilities. Knowing the odds were heavily stacked against him, I sat at his bedside and gave him my full attention. When he slept, I watched his chest rising and falling, savoring the fact that he was still alive. When it was my turn to rest, I would go to bed in Kelly and Duane’s guest bedroom back at their home, knowing that Duane was still alive. But he continued to decline and, as he did, every moment with him was an ever more precious gift. It was easier for me to sit by his bed than anywhere else on Earth. My heart was breaking; yet I did not want to miss one single second of Duane’s life. I had no idea if he would survive, and that became less relevant as each moment I had with him became increasingly inestimable. Duane ended up, miraculously, pulling through, but the experience stayed with me as I wrote this book. Reflecting on what is happening to the planet, I realize that the intimacy I shared with Duane when I thought I was losing my best friend is the intimacy we should have with the Earth. When I thought I was losing Duane, I did not want to leave anything that was in my heart for him unsaid, nor were there any wrongs left to make right. In an analogous way, we may be watching Earth dying, so we each get to ask ourselves: what am I called forth to do at this time? Only by sharing an intimacy with the natural world can we begin to know, love, and care for her. 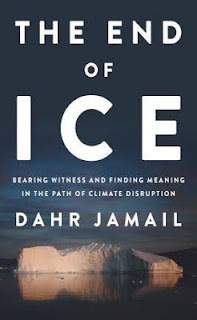 By regaining this intimacy we can begin to understand the ramifications of what it is to lose so much of Earth’s ice, species, and biosphere. For so long we have lived in a world where many never experience this intimacy, love, and connection before it’s too late. Back home from Denali, I had to continue to find a way to balance what I was experiencing. I resumed my weekend forays into the nearby Olympic National Park. Again drawn to the mountains, I hiked through old-growth forests up into alpine basins filled with mountain lakes and hemmed in by rugged peaks. Scrambling up steep rocky slopes toward another summit and finding a cliff ledge to perch on for a lunch of nuts, dried salmon, and coffee, I breathed in the scene below: a valley running toward the Strait of Juan de Fuca, the glacier just below the summit of Mount Carrie, a raven flying above. I savored every moment. Each trip sparked my curiosity about another peak or valley. When I returned home, I cleaned my gear and replenished the food bag, and the maps came out again, and I would begin packing for my next hike or climb. These forays into the mountains are my way of being with the Earth in order to remain connected to my sorrow for what is happening, as well as to honor her. “The question is not are we going to fail. The question is how,” author and storyteller Stephen Jenkinson, who has worked in palliative care for decades, states. A willingness to live without hope allows me to accept the heartbreaking truth of our situation, however calamitous it is. Grieving for what is happening to the planet also now brings me gratitude for the smallest, most mundane things. Grief is also a way to honor what we are losing. “Grief expressed out loud for someone we have lost, or a country or home we have lost, is in itself the greatest praise we could ever give them,” thinker, writer, and teacher Martín Prechtel writes. My acceptance of our probable decline opens into a more intimate and heartfelt union with life itself. The price of this opening is the repeated embracing of my own grief. Grief is something I move through, to territory on the other side. This means falling in love with the Earth in a way I never thought possible. It also means opening to the innate intelligence of the heart. I am grieving and yet I have never felt more alive. I have found that it’s possible to reach a place of acceptance and inner peace, while enduring the grief and suffering that are inevitable as the biosphere declines. I believe everyone alive is feeling this sorrow for the planet, although most are not aware of it. Rather than grieving for her, many are given pills for depression, or find other ways to self-medicate. To live well involves making amends to the Earth by finding gratitude for every bite of food and for every stitch of clothing, for every element in our bodies, for it all comes from the Earth. It also means living in a community with others who are remaking themselves and their lifestyle in accord with what is. Writing this book is my attempt to bear witness to what we have done to the Earth. I want to make my own amends to the Earth in the precious time we have left, however long that might be. I go into my work wholeheartedly, knowing that it is unlikely to turn anything around. And when the tide does not turn, my heart breaks, over and over again as the reports of each succeeding loss continue to come in. The grief for the planet does not get easier. Returning to this again and again is, I think, the greatest service I can offer in these times. I am committed in my bones to being with the Earth, no matter what, to the end.